Amazon.com Price: $16.95 (as of 2019-04-18 10:42:56 GMT) Product prices and availability are accurate as of the date/time indicated and are subject to change. Any price and availability information displayed on Amazon.com at the time of purchase will apply to the purchase of this product. Play your chips in style with this set of 88 embossed poker chips. 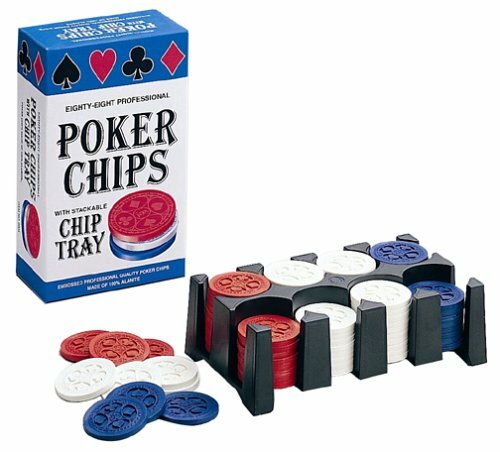 Black chip tray neatly keeps 44 white, 22 red and 22 blue professional poker chips at hand. Full trays stack for easy storage. Imported.